Mazda6 was launched in Australia in August 2002, it began as a midsize car and grew over the years with the latest models being only a little smaller than Commodore and Falcon. However, it’s significantly narrower than these Aussie icons so is better suited to two adults than three in the back seat. The higher build of Japanese Mazdas over European cars in this class was often the reason buyers told us they chose the ‘6. In this used car review we will begin with the second generation which arrived here in February 2008. Unusually the 2008 Mazda6 came with a choice of three body types: five-door hatchback, four-door sedan and five-door station wagon. Competitors often offered only one, perhaps two body types. 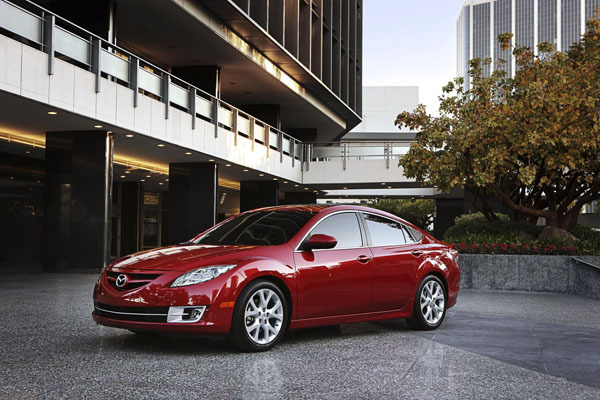 A virtually all-new Mazda6 arrived in December 2012. It was a little larger than the model it replaced. It had standout frontal styling, using Mazda’s Kudo design theme that featured a huge grille. The interior also had futuristic style and had the usual Mazda quality finish. 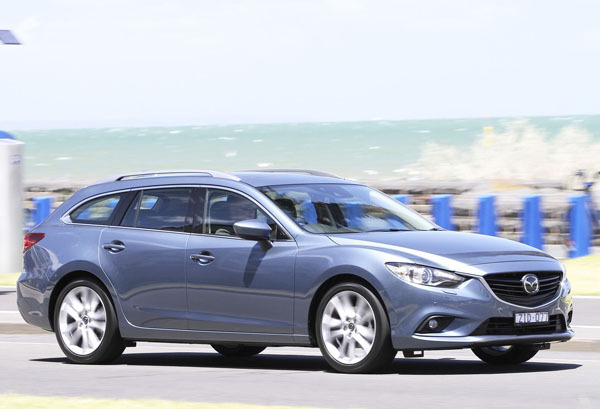 This time around the Mazda6 was only sold as a four-door sedan and a five-door station wagon, the hatchback had never been a big seller so was discontinued. The extra size meant added interior room, especially in the back seat of the sedan, which can cope with two large adults, making it a genuine family car by Australian standards. Three kids and their parents will find the Mazda6 providing stretch out room. A negative feature of the gen-three was its full-sized spare wheel instead of space-saver for which the sedan’s boot floor has obviously been designed. The station wagon has less rear seat legroom as it has a shorter wheelbase and the passenger / luggage compromise leans in the direction of the latter. Major changes to the ‘6 in May 2018 saw a facelift and tail tuck. More importantly were redesigned front seats with increased support. Reduced NVH (Noise Vibration Harshness) levels in the cabin gave it an even more upmarket feel. Power is provided by Mazda’s SkyActiv 2.5-litre petrol or 2.2-litre turbo-diesel, both are four-cylinder units.The low compression diesels have a wide spread of strong torque and rev all the way to 5500 rpm instead of starting to fade at about 4200 revs, as is the way in conventional diesels. A turbocharged version the petrol was introduced in May 2018, as yet we haven’t seen any of these on the used car market, but their performance seems likely to attract a new group of buyers. Until 2012 the diesels came only with a six-speed manual gearbox, which resulted in rather limited sales in Australia. On the other hand it makes a good country car due to long-range capability. A six-speed manual or five-speed automatic were used from the new model of 2008. From the gen-three of December 2012 all have six-speed autos. 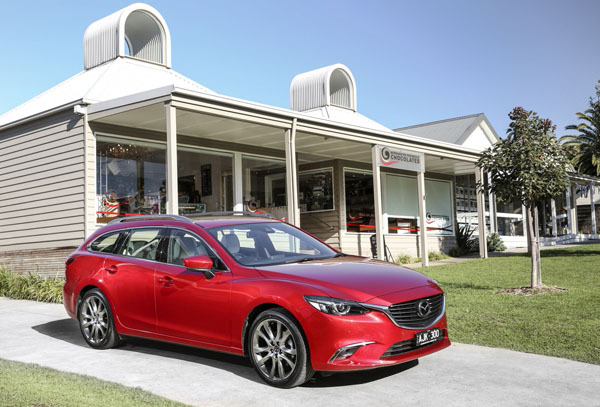 Mazda has dealers in most areas of Australia. Obviously they aren’t common in the outback, though the sales success of the Mazda BT-50 ute has started to give Mazda stronger presence in the bush. The Mazda6 is a complex machine so it’s best to leave servicing and repairs to the professionals. A good amateur mechanic will be able to do some work, and underbonnet access isn’t too bad. Having a workshop manual at your side pays dividends. Insurance costs are about average for a fully imported Japanese car and often a little lower than for European cars in this class. Mazdas a built to a high standard in Japan and are generally trouble free. They fact that previous owners are likely to have been of the sensible-driver type is another plus. Make sure servicing has been done on time, this is particularly important in diesels as like all of their type correct oils are important. Listen for a knocking noise from the universal joints inside the front wheels. Turn the steering wheel to full lock at very slow speeds to the right and the left and listen for the sound. Check that the engine starts promptly and settles into a steady idle within a few seconds of kicking over. An automatic transmission that’s slow to go into gear, or that hunts up and down through the ratios could be due for a service, or a full overhaul. A manual gearbox that’s reluctant to go into gear is also likely to need attention. Fast changes from third to second are often the first to play up. Check for crash repairs that haven’t been done correctly. These can lead to body rust and a weakening of the complete structure. Budget on spending from $4000 to $7000 for a 2009 Mazda6 Limited; $6000 to $10,000 for a 2008 Classic Sports; $8000 to $12,000 for a 2010 Luxury; $12,000 to $18,000 for a 2012 GT; $14,000 to $19,000 for a 2012 Atenza; $16,000 to $23,000 for a 2014 GT; $18,000 to $25,000 for a 2014 Atenza; $20,000 to $27,000 for a 2015 Atenza or a 2016 Touring Safety; $25,000 to $34,000 for a 2016 Atenza; and $31,000 to $42,000 for a 2018 Atenza.